Orange fish on a little boy is adorable. 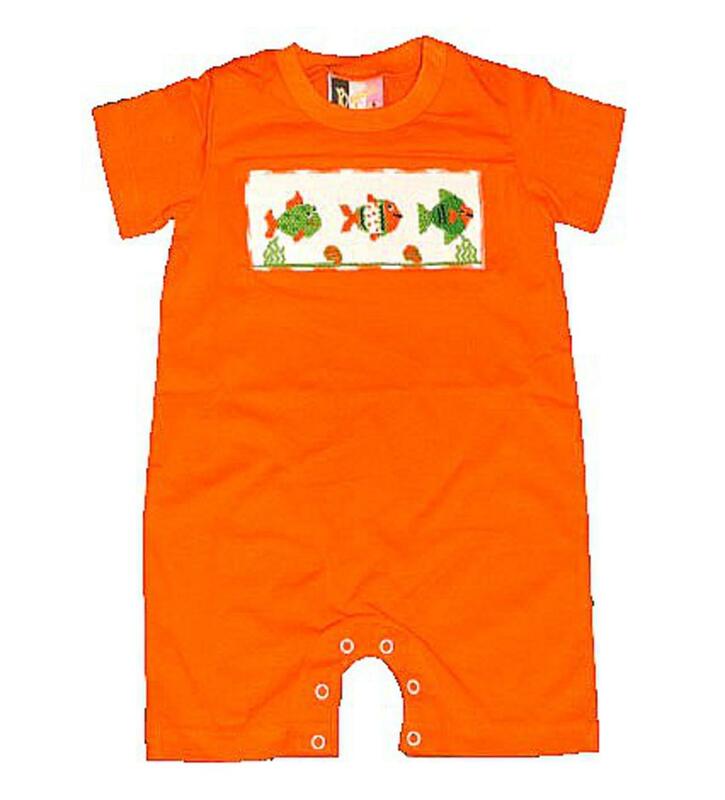 The orange short romper has three hand smocked fish on the chest with a orange and white check piping around the smocking. The t-shirt feel romper has snaps along the inside of the legs to accommodate diaper changes and a stretchy neck to get over your childs head. This super soft and cute outfit is 100% cotton.